Silchar, June 1: Silchar has been envisioned along with three other cities as engine of growth in the implementation of Act East Policy of the Centre in Northeast. It will, in fact, become epicenter of infrastructure expansion for its strategic location as a corridor to Bangladesh, Myanmar and Asian countries. This was conveyed to Haran Dey, chairman of Prakriti News Service based here, by Sajjad Alam, Deputy Secretary, Act East Policy, Government of Assam. After Bongaigaon, Silchar will be the second logistic hub with significant improvement and update of rail, road, waterways and air network and services to South Asian countries. The importance of this southern most town is well pronounced as it will become the centre of communication and economic resurgence. Silchar-Imphal Express Way is to link Moreh-Asean Trilateral Highway. 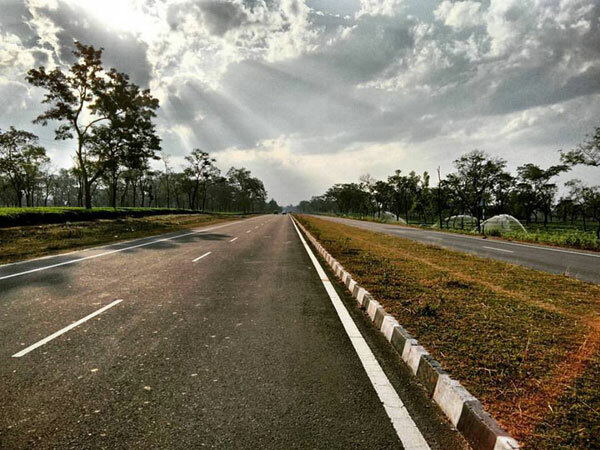 Quite significantly, Silchar-Saurashtra Super Highway, better known as East-West Corridor, will connect Guwahati-Shillong-Dowki-Chittagong Expressway. Its expansion will pass through Kalain- Sonapur-Jowai-Ladrymbai corridor. The information shared by Sajjad Alam further says the southernmost town will have access to Kolkata through Sylhet. This will be upgraded as India-Bangladesh north east corridor. Besides, plan is also afoot to develop Kaimganj-Agartala-Bangladesh-Kolkata link. The town has also seen rapid BG expansion with Guwahati and Dibrugarh and work is on war-footing to link Moreh from Imphal and Bangladesh through Mahisasan. Along with that, Barak river which is undergoing dredging and declared as national waterways 6 will be yet another opening to Bangladesh. Air services are also being upgraded with the expansion of runway and improvement of passenger amenities as well as night landing facilities. The greatest problem for economic development and revival is connectivity. Without dependable communication, there can be no development of any region, more so of landlocked Barak Valley. With emphasis on connecting Northeast with South Asian countries, the connectivity has to be through Bangladesh and Myanmar for boost up of economy, point out economic analysts. Myanmar could be the best friend which is a big economy with abundant agriculture products, natural gas and rich resources. The priority should be on economic bond. The coming up Trans Asian Highway and the Kaladan Multimodal Transit Transport Project through this bond will be of great benefit to the region. Connectivity is not the only solution. Trade and commerce have to be equally developed in this age of globalization. China and Thailand have already set up special economic zone in Myanmar. India cannot look back. Otherwise, connectivity will be one way and our markets will be flooded with Chinese and Myanmar goods, analysts point out. Sylhet has also become much more advanced today. Planning has to be converted into action where entrepreneurs and businessmen can market their goods and products. It is therefore important that along with transportation, infrastructure has to be built up, trade agreement signed and eco system made vibrant. In other words, northeast has to develop its own economy with Government of India ready to give eco system. At the sametime, political friendship with Thailand, Myanmar, Bangladesh and other countries in the neighbourhood has to be strengthened. Considering the flow of tourists from South Asian countries, tourism has also to be given push and boost up in order to attract tourists. The economic fortune of Northeast is linked with South Asian countries. Water resources have also to be exploited along with the rich natural gifts of the region. All this concerted move alone can make Act East Policy practicable.